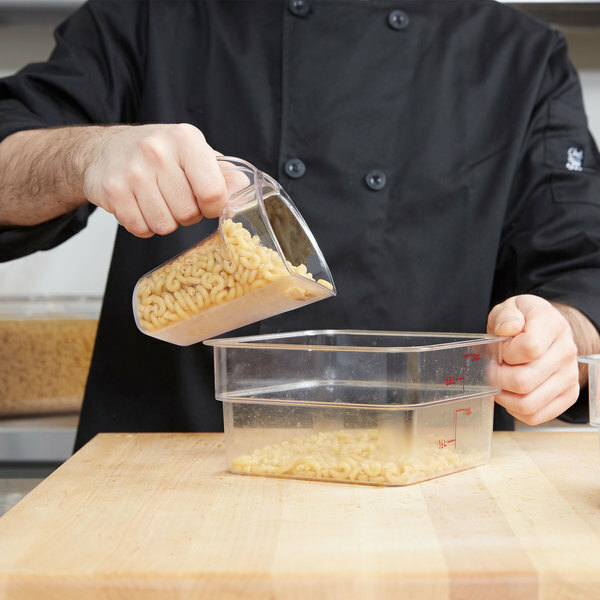 Easily and accurately portion ingredients with the Rubbermaid FG9G5100CLR 16 oz. safety portioning scoop! 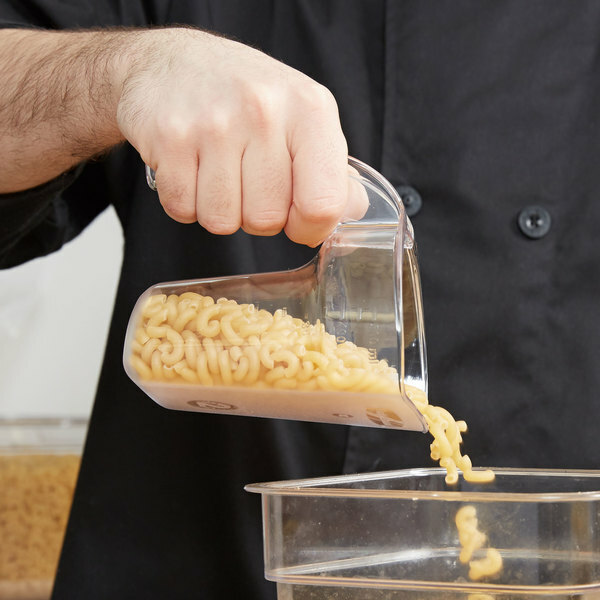 Combining safe food handling and accurate portioning, you can scoop and measure ingredients simultaneously while reducing the risk of cross-contamination. Great for your busy commercial kitchen, this scoop allows you to add efficiency to your workflow. 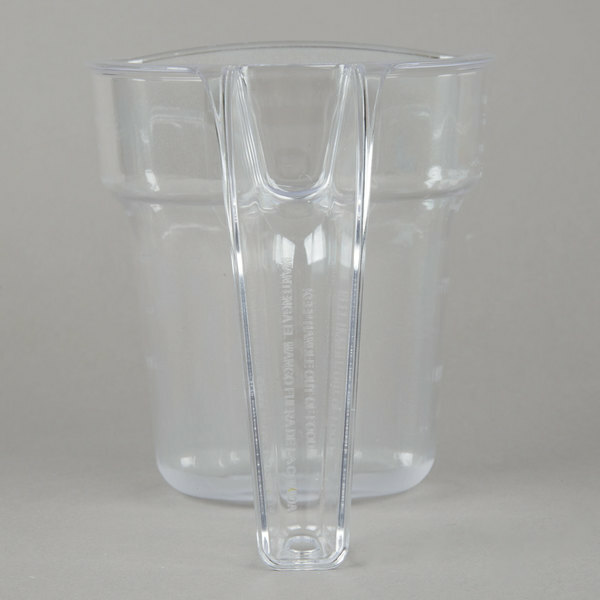 The two-in-one scoop and measure design also saves space in your kitchen and makes it easy to take this scoop along to catered events. 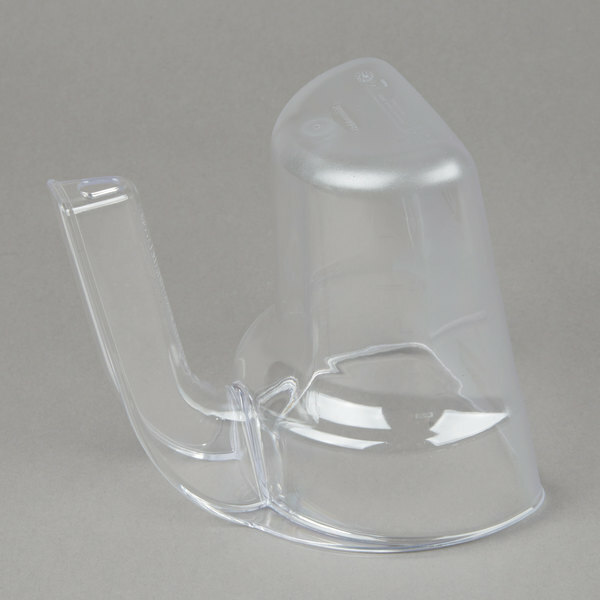 Plus, the freestanding design allows this scoop to remain upright when placed on counters and work tables, eliminating the need for a separate scoop holder. 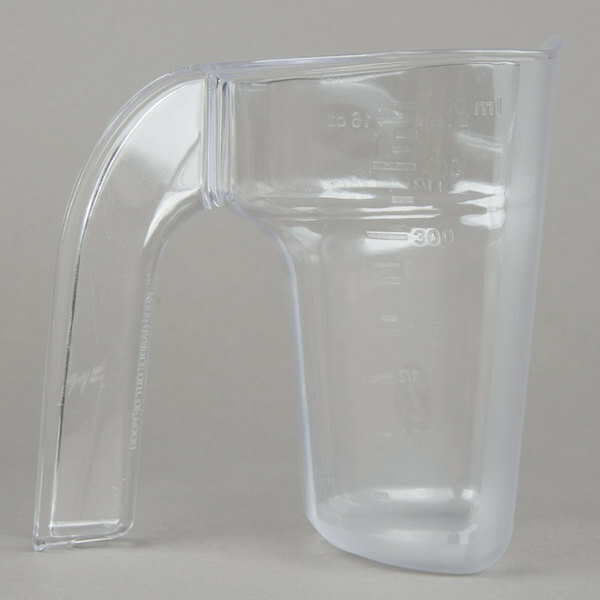 The molded-in measurement markings are in cups, ounces, and milliliters for added versatility. With a flat front that allows easy access to the corners and bottom of a pan, you can easily fill the scoop with your ingredients without having to use additional spatulas or serving utensils. Perfect for use in bakeries and pizza shops, this 16 oz. scoop is safe for temperatures between -40 degrees Fahrenheit to 212 degrees Fahrenheit. 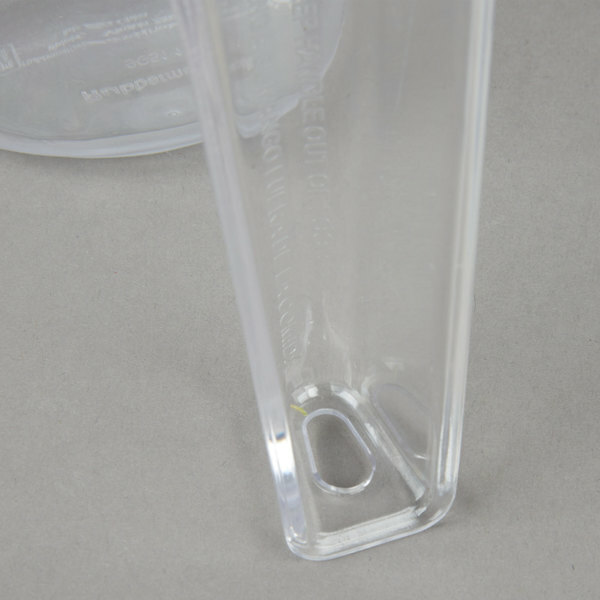 The clear polycarbonate design also allows you to see the ingredients inside for easy product identification during food prep. 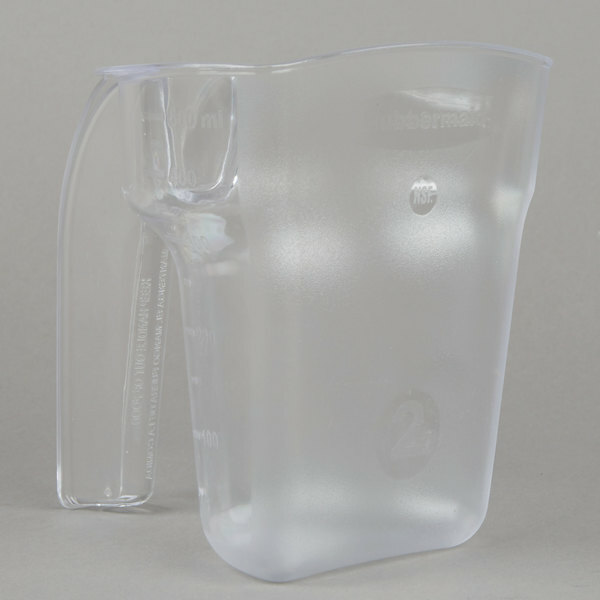 Overall User Rating: Rubbermaid FG9G5100CLR Bouncer® Safety Portioning Scoop - 2 Cup / 16 Oz. 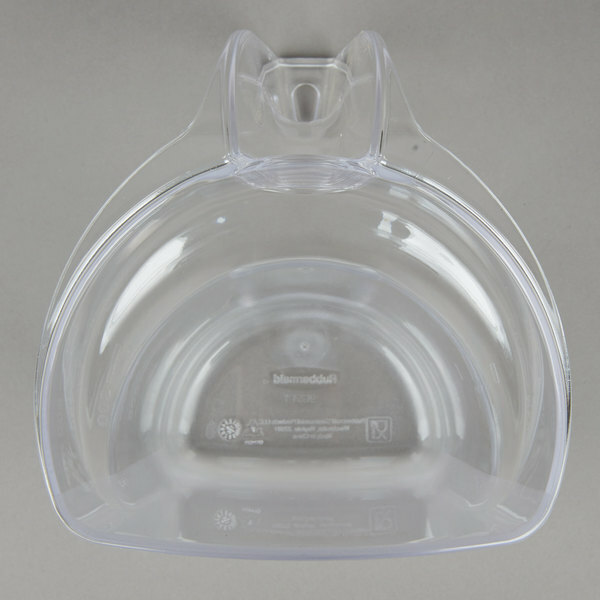 I REALLY LIKE THIS RUBBERMAID PORTIONING SCOOP, I USE IT FOR SERVE ICE FOR A SMOOTHIES, MILKSHAKES AND JUICES. IF YOU HAVE THE OPPORTUNITY BUY IT. Great Quality Scoop. These are used everyday as an ice measuring scoop when making smoothies and blended drinks. They have lasted very long with no cracks or breakages. We got 2 of these and they are still going strong. The quality is great as well. We use these all day every day and they are still is great shape.